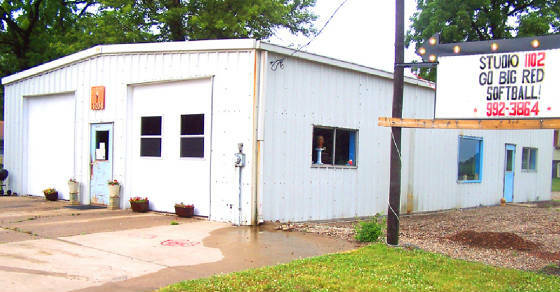 This building was built in 1969 by Don Burgher where he used this as his busisness, D-C-Boats. The "boat shop" was closed in 1993. It is currently undergoing an extensive remodel and is now Studio 1102. Pauly helps with several jobs around the studio. Mike Burgher standing in the newly added 23'X30' gallery space. Mike Burgher with his "pit." The pit is used to fire ceramics through Studio 1102 & DC-G art class. Mike in his personal 10'X11' studio space.